If you’ve been around the organic homesteading community at all, you may have heard the term permaculture before. If you’re just diving in you’re probably wondering what on earth permaculture is, and why you should care. At it’s simplest, permaculture is permanent agriculture. It gets a lot more in depth than that, but the purpose is designing sustainable developments for all of us human to live on without mucking everything on the planet up. As you can imagine, there are a lot of elements that go into such a tremendous task! Instead of a succinct list of how tos like you may find for a gardening method, permaculture is harder to pin down. It is guided by principles and ethics, and the on the ground details of how can be so variable depending on individual needs, and the details for your individual bit of land. At it’s heart it’s working WITH nature. I’ve found that the best way for me to get my feet wet with permaculture is to look at examples of other people. What are they doing that I can replicate that might work well? As I start doing more and more, the in depth texts such as Permaculture: A Designers’ Manual (affiliate link), by Bill Mollison or Edible Forest Gardens (affiliate link) by Dave Jacke become more valuable and useful to me. The principles and theories make the most sense after you’ve seen them put into practice! I knew this was the book for me considering I JUST purchased ducks, (mainly for slug control!) and I get a little bit of maniacal laughter going myself when it comes to talking about chickens and rabbits! Not to mention I LOVE my dandelions. 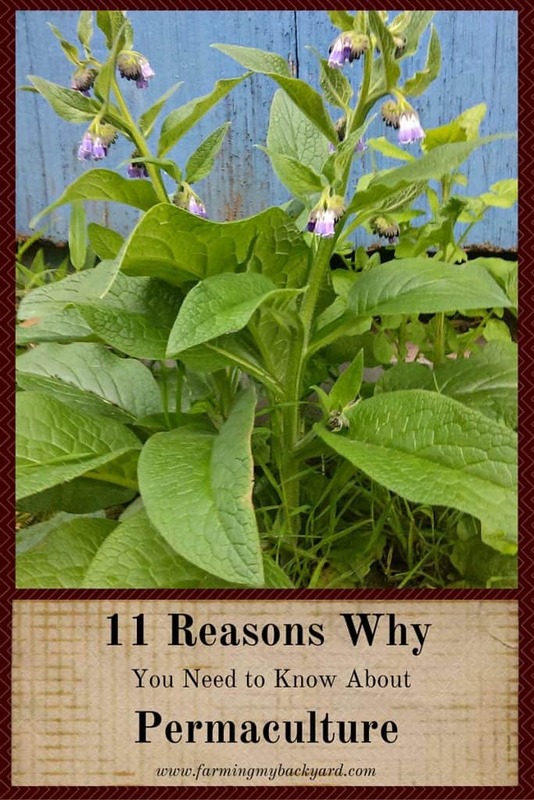 Her homestead is in a different climate than mine, but I could really relate to the struggles of us non-green thumb people who are committed to gardening. If you live in a cold area, you need this book! She is in Nova Scotia, which is QUITE a bit cooler than my zone 8b! There is an entire chapter devoted to growing in a greenhouse, something that is far from a necessity from us spoiled warmer people, and after reading how she builds her soil with seaweed I’m starting to wish I lived a lot closer to the ocean. Jenni also talks about how she used to be vegetarian, but now includes animals in her homestead. While you don’t HAVE to have animals, they can be useful, especially when you incorporate them in a strategic way and create a more closed system. (I.E. you produce your own fertilizer). In that chapter she also discusses a bit about making up a sector map, and while the concept of zones always made brilliant sense to me, the sector maps just didn’t quite click in my head until I understood it in more hands on, practical terms. For some reason the idea of deciding where to put your chicken run and greenhouse to create microclimates on your property just makes permaculture seem a lot more about common sense and a bit less about math and map making. So, if you’ve ever thought you couldn’t practice permaculture because you don’t have a tropical food forest, hate math, and can’t draw a map to save your life, Permaculture for the Rest of Us will be your new, favorite permaculture book. 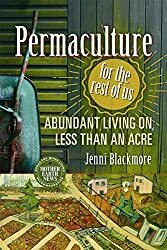 Now that I’ve probably completely scared you off of permaculture as something big, scary, and complicated (it really, actually isn’t when you start DOING it), here are eleven reasons why you need permaculture! I enjoyed reading this and will probably buy at least one of the books, not two.. And I would love that goat care calendar as I have some of those incredibly lovable critters and a reminder of what to do when would be very helpful. Thanks in advanc! Enjoy the day! I’m glad you enjoyed it. I know I’ve gotten some of the above books from my local library, so that may be a good option too! Once you enter your email into the subscribe box you will be automatically emailed a link to print the goat care calendar.